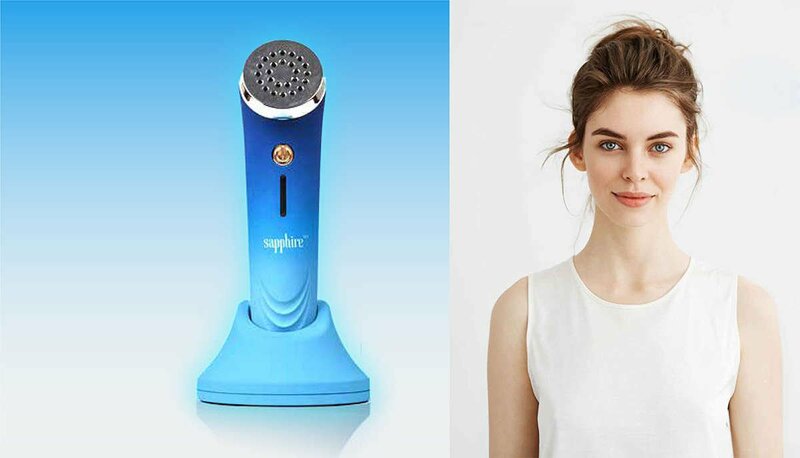 The Sapphire blue light is safe and effective skin care technology that helps your skin to look clearer and will minimize the appearance of blemishes. 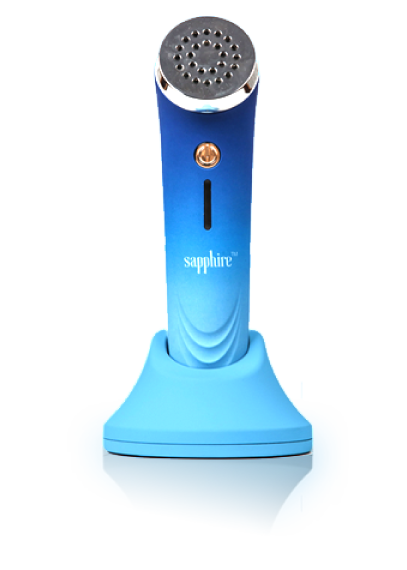 The Sapphire uses blue light therapy and topical heat to disinfect, detoxifies and eliminates bacteria under the skin, by that revealing a smoother healthier complexion that will help your skin tone to appear more even. Sapphire uses blue LEDs in the range of 415 nm. The Sapphire ® uses blue LEDS in the range of 415 nm. Lifetime warranty. 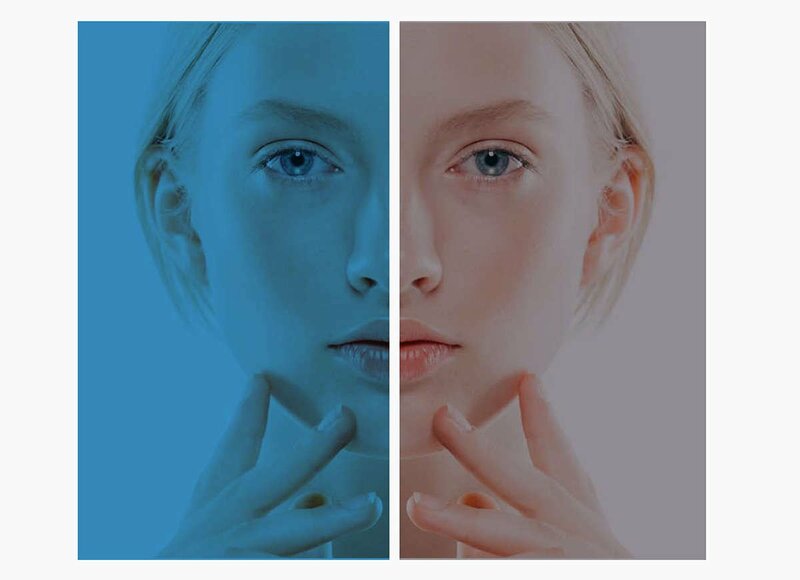 SAPPHIRE, with its blue light phototherapy (415 nm), is your solution to acne. The sapphire treatment probe (metal head) will heat up to 40-42 C (104-107 F) to provide topical heating which increases blood flow to the treated area. The blue light penetrates into the pores and directly kills p. bacteria growing inside the skin. The increased blood flow to the treated area provides protein, nutrients, and oxygen to naturally heal and improve the skin. effects or pain. Blue light therapy is suitable for all ages. Sapphire is a painless, affordable, 100% natural solution to acne that can be easily used in the comfort of your own home. adolescent and adult acne and acne scars, ranging from mild to severe. Light therapy is natural, non-invasive and a highly effective technique. SAPPHIRE and PERFECTIO should be used together because they both utilize the power of phototherapy. There are no side effects with phototherapy, unlike with harsh topical medications which can irritate and dry out skin.